Lexmark Cyan Return Program Toner Cartridge (7,000 Yield) | Om Enterprise Inc.
Lexmark C746, C748 Cyan Return Program Toner Cartridge (7,000 Yield). Save Time, Money and the Environment with Genuine Lexmark Supplies. Return Program toner cartridge keeps upfront costs low and quality high. Toner produces outstanding results page after page in Lexmark C746dn, C746dtn, C746n, C748de, C748e and C748dte. Superior Lexmark design means precision pairing between printer and cartridge for value, quality and environmental responsibility you can count on. 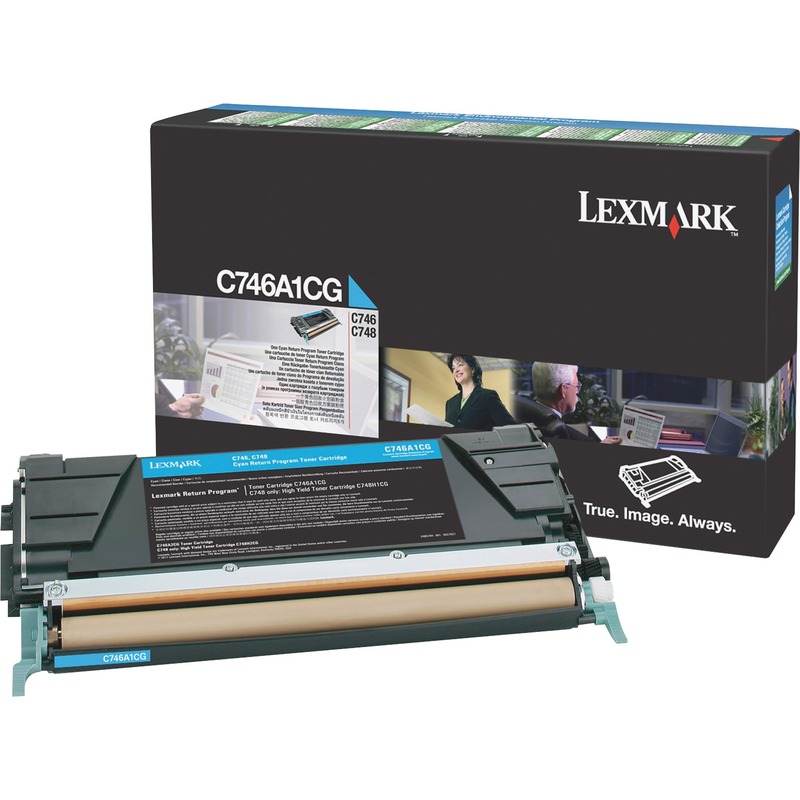 Choose Genuine Lexmark supplies for genuine Lexmark results. Return Program cartridges are patented print cartridges sold at a discount in exchange for the customer's agreement to the license requirement that the cartridges will be used only once and returned only to Lexmark for remanufacturing or recycling. These patented cartridges are licensed for single use only. Cartridge yields approximately 7,000 pages.